Leasing and Hire Purchase is a financial solution where a customer purchase the equipment with the structured payment over a period. cash flow and a reserve of capital for other purposes. Finance Lease is a contract in which the risks and rewards inherent in the leased asset are transferred to the Lessee under the lease contract. Risks and rewards are deemed to be transferred to the Lessee as long as the lease contains a purchase option (it entitles the Lessee to purchase the asset at an agreed price). Operating Lease is a contract in which the Lessor permits the Lessee to use an asset for an agreed period which is shorter than the economic life of the asset without any transfer of ownership rights after the expiration of lease.The Lessor gives the right to the Lessee in return for regular payments for an agreed period of time. In the accounting standard, the Lessee treat the lease payment as an expense over the term of the lease contract and return the asset to the Lessor at lease expiration. Hire Purchase is a kind of financial service for various kinds of equipment. 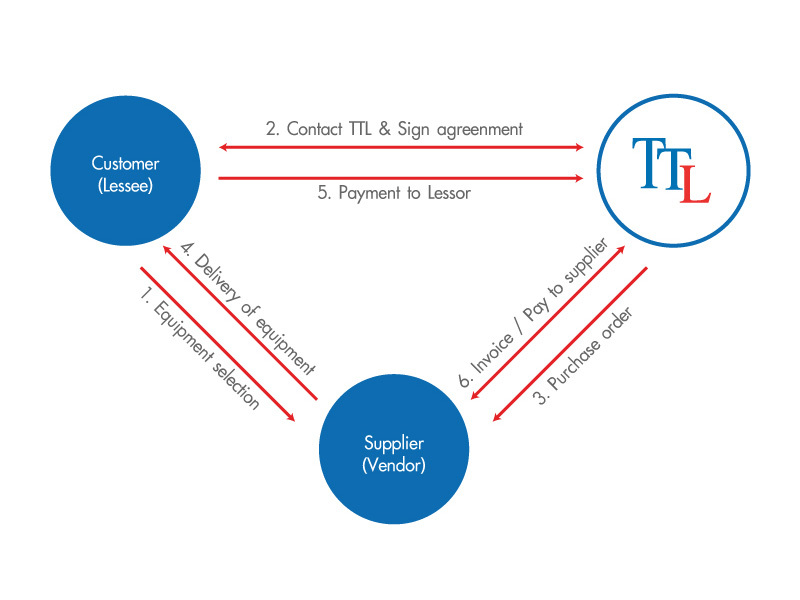 Under a hire purchase contract, TTL (Owner) buys the asset and allows the customer (Hire purchaser) to use the asset and pay the regular installments to the Owner but not to obtain the ownership. After all installments have been settled, the ownership would be automatically transferred to the Hire purchaser.